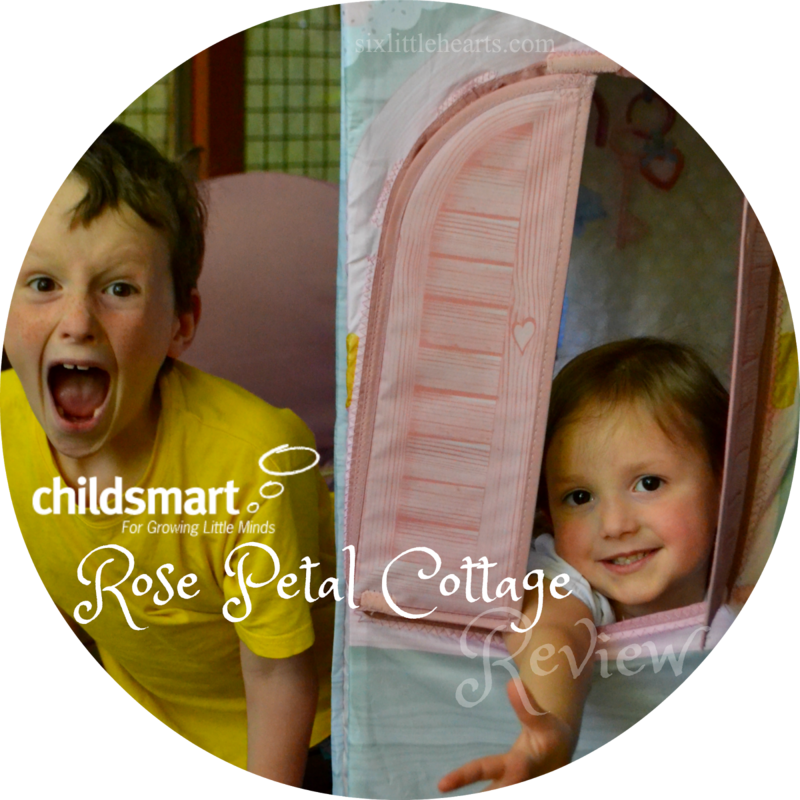 It's Childsmart to the rescue once again for this family! 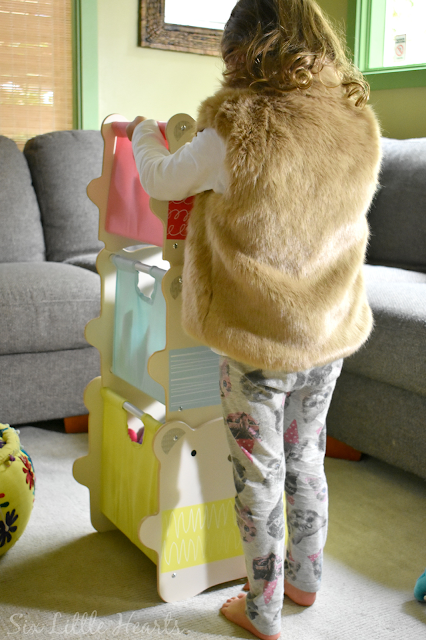 We've had some wonderful toy boxes from Childsmart featured here already, and you can catch up on these other helpful and attractive toy storage options in this Minnie Mouse shelf post or this Disney Princess toy box review. 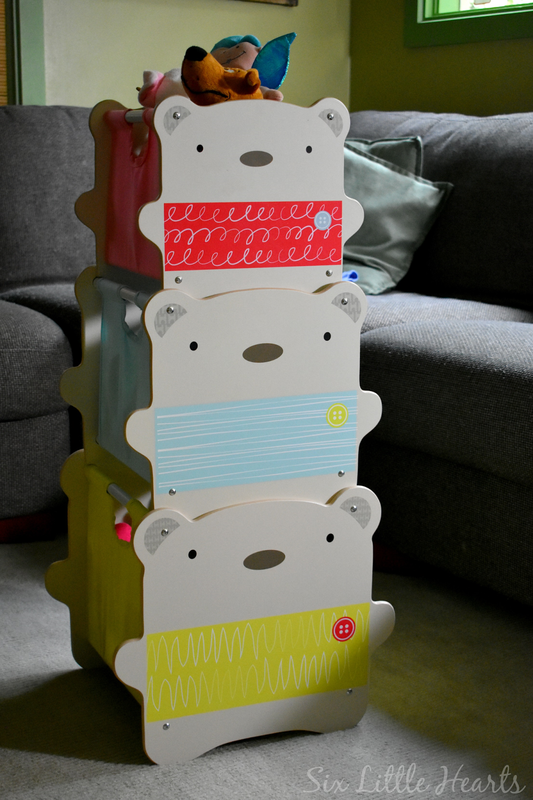 For limited spaces and tight corners, this newest and very cute Worlds Apart HelloHome Bear Hug Stack Storage is a very handy addition to keep and control children's clutter around the home. 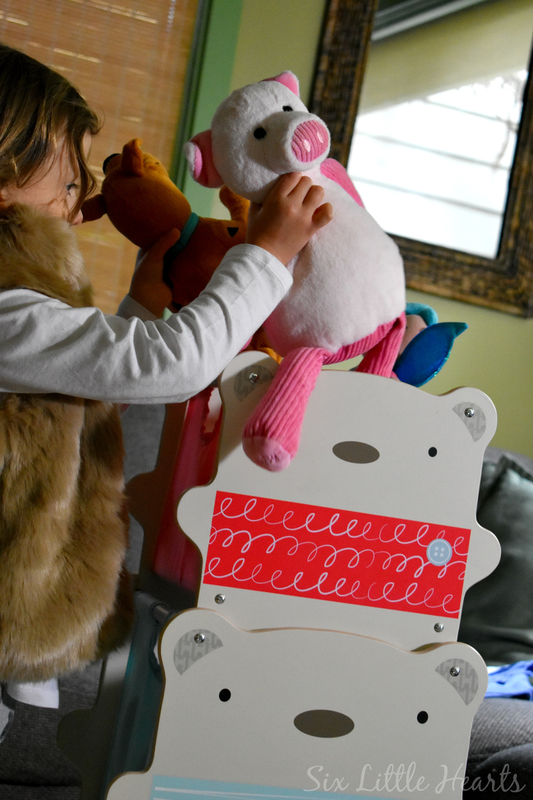 Bear Hug Stack Storage toy boxes are petite, easy-on-the-eye and enormously helpful to contain clutter! 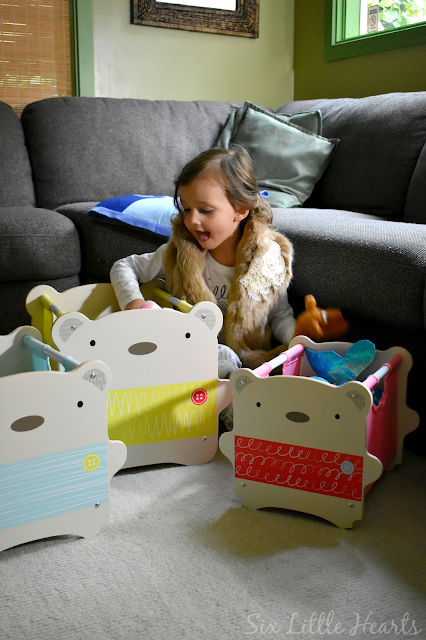 This adorable trio storage unit comprises of strongly crafted bear crates (wood MDF), lined with colourful cotton cloth internals. These arrive flat-packed for convenience and set-up is exceedingly easy with clear instructions included as well as all the screws you will need to complete the build. All you need to get these useful bears together, is a screwdriver. 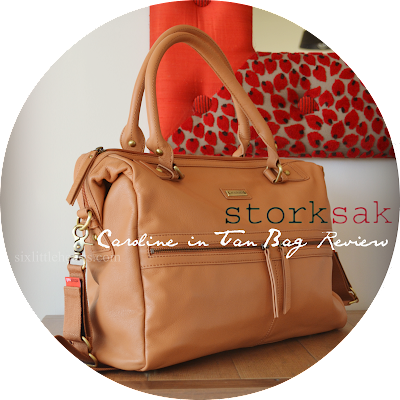 Easy carry handles and lots of built-in portability. 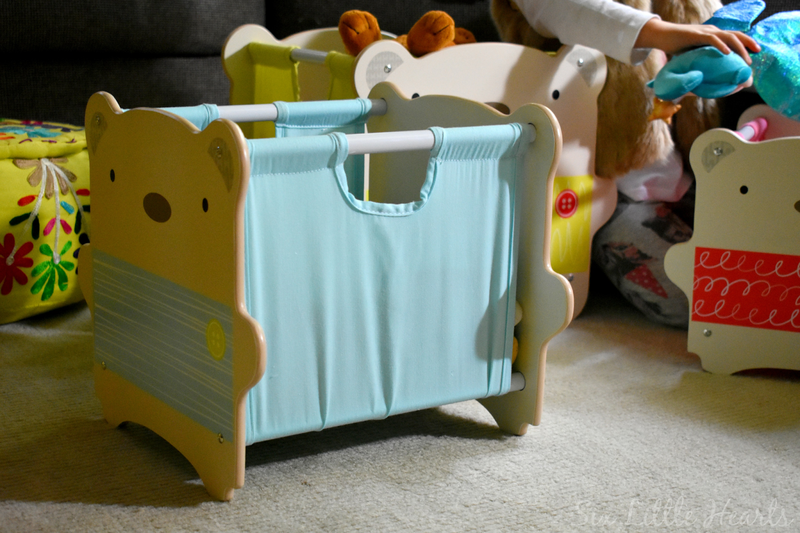 You can carry these bear crates around your home readily, (or even in the car), to take play on-the-move. Though the entire unit itself is quite compact, it can hold a surprising amount of your kids' stuff. 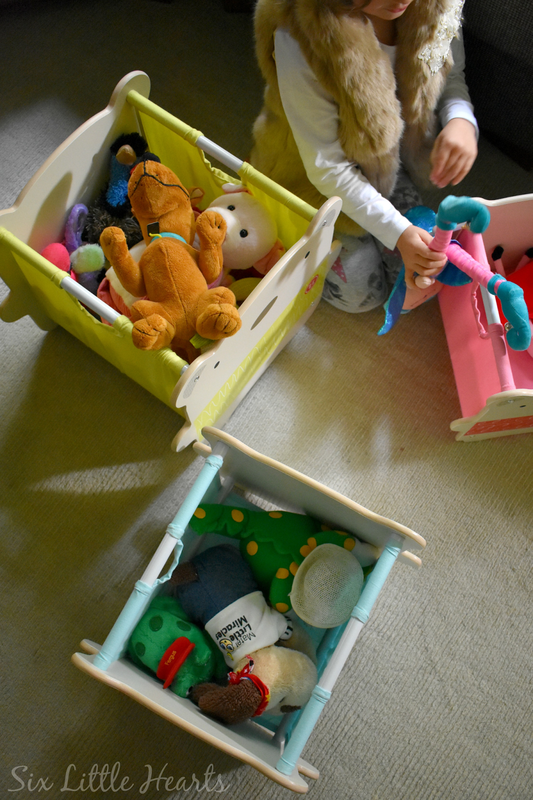 Our daughter fills her newest toy box trio with all of her most treasured stuffies, making bedtimes now a breeze. These days we always know where her favourites are, and we're saving on tears and time where lost toys are concerned at each day's end. You can use the colour coordinated tubs to your advantage when storing things such as books, blocks and educational toys. Additionally, your child will find these toy boxes easy to lift, providing you don't overfill them. This sweet storage unit will hopefully spark in your own child, a keen interest in tidying up after playtimes! 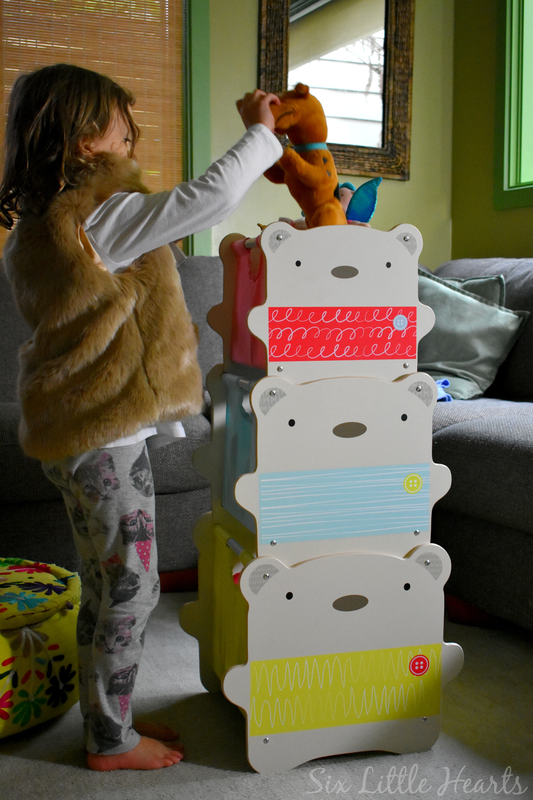 The Worlds Apart HelloHome Bear Hug Stack Storage boxes are available on the Childsmart website for RRP $129.95. The toy boxes are recommended for ages 18 months to 5 years and suit a maximum load of 12kgs. Make sure you check out the entire range of furnishings available in this same exquisite design. Moving on to home organisation in a bigger way - Childsmart are now proudly stocking RoomMates wall stickers. These premium stickers are available in an assortment of licensed and decorative themes for all ages, and they can really lift the look of your home's décor in a cost-effective and non-permanent way. We were sent some of the new RoomMates range to try on our own walls and appliances. Below are the RoomMates Days of the Week Planner Dry Erase Wall Decals. These invaluable decals leave no residues and remove easily from any surface. You can re-use them simply by peeling them off and adhering them to any new preferred surface. They come with their own easy-erase marker for scribbling in your agenda, and you can stick them freely to your walls around your home without pain later. Life at a glance and a tidier fridge door! 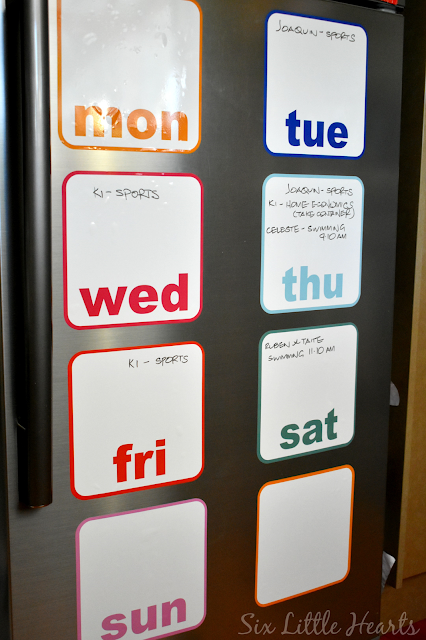 We've found these big planner stickers ideal for the fridge door where all of our family members can see the goings-on for any week at a glance. There are so many talent shows these days on television and don't the kids just love them! 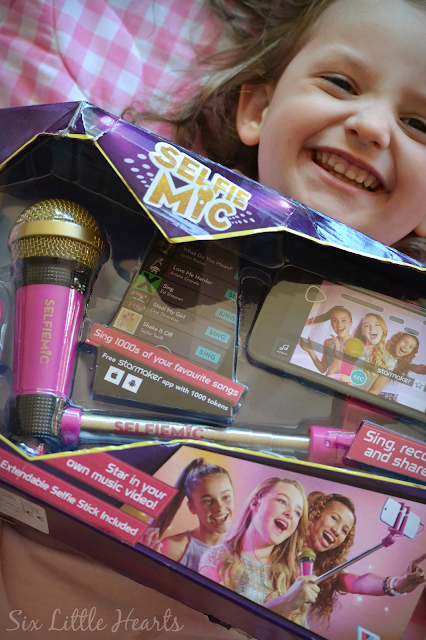 Well, now the Selfie Mic is here to let your kids' talents shine! This toy offers amazing interactive entertainment for children and teens and all they need is a mobile phone to get the fun started. The Selfie Mic is a combined microphone and selfie stick which works in conjunction with its own free app called StarMaker. 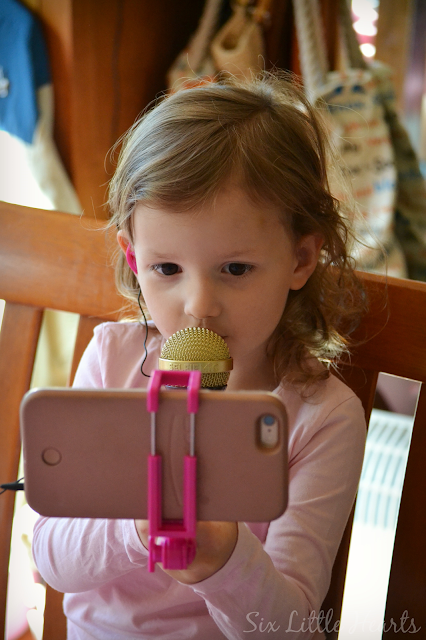 The Selfie Mic records your child's chosen tune and makes a video of their performance! Once kids have made an amazing clip that showcases their talents, they can then share the fun with their friends and family! FUN! 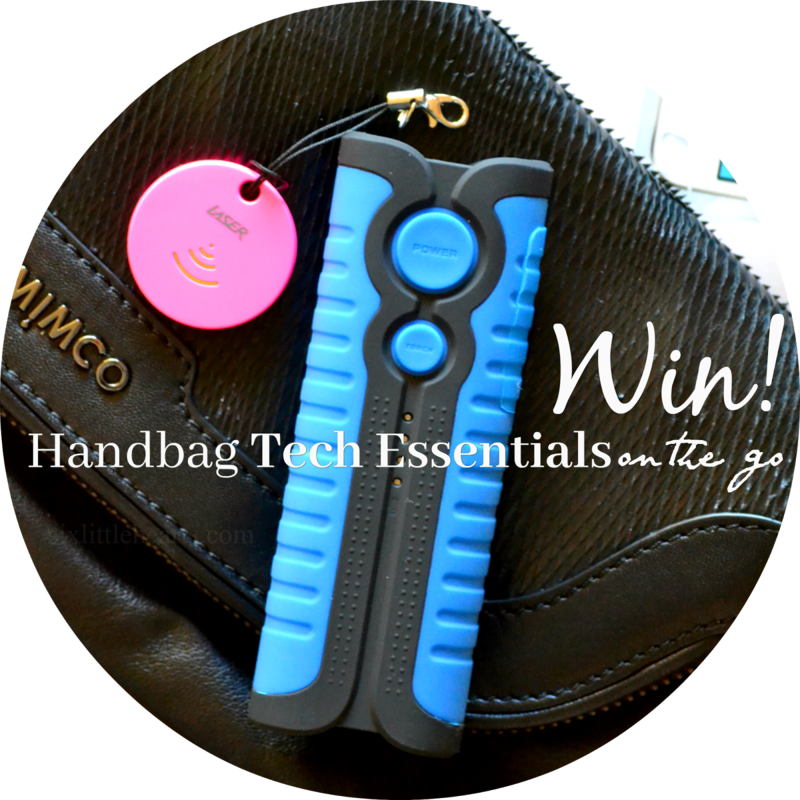 Needless to say this fab device has been making the rounds in our home! 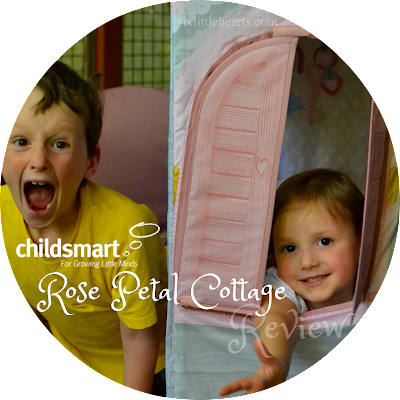 This is one great-fun toy that is recommended for ages 8 plus. 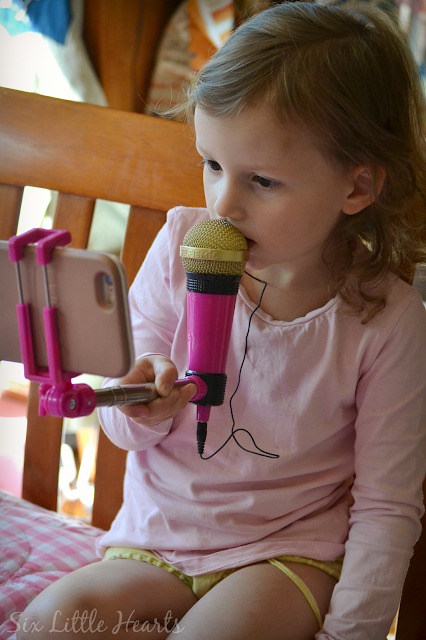 You can find this toy sensation - the Selfie Mic, on the Childsmart website here. RRP $39.95. 'In honour of Mother’s Day, Childsmart are celebrating motherhood for the month of May. At Childsmart, we understand that the greatest gift of all is a happy child. 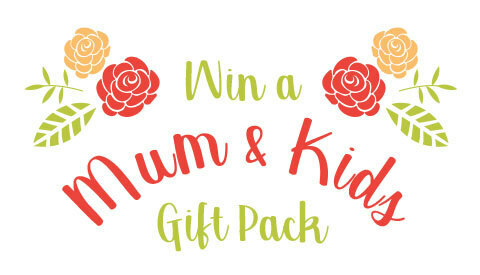 available to win for mums & their kids.  Cocalo Knitted Plush Toy Bear – $19.95.  Bear Hug Stack Storage – $129.95.  Growing Flowers Peel and Stick Appliques – $44.95. 6:00pm AEST (NSW) on Wednesday 31st May 2017.
before Wednesday 14 June 2017 to redeem their prize. Prizes will be dispatched to rightful prize winners before Wednesday 28 June 2017. To enter, visit the Childsmart giveaway here! 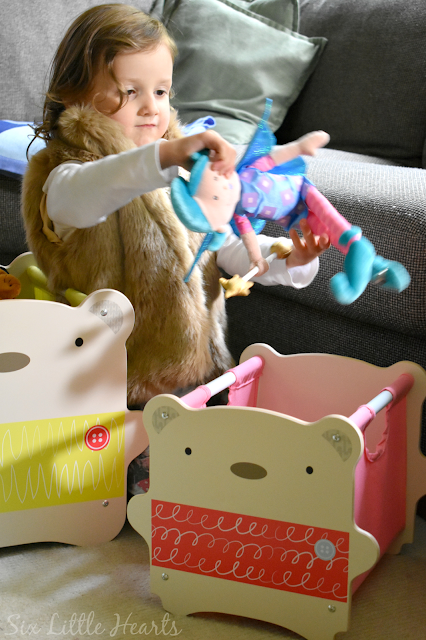 Do you struggle with toy storage solutions? *Items featured in this review were gifted. Knotlace Jewellery Review and Win a Knotlace Collection! That has to be the cutest storage idea ever! It is really cute and so compact too. It has helped us to control the clutter without eating all of our space. Too true. Space is golden!